The House of Commons decreed this week that Britain’s Overseas Territories, including Cayman Islands, Turks and Caicos and Bermuda, must introduce a public beneficial ownership register by 2020. Moves to attempt a similar approach to the Crown Dependencies were ultimately not pursued in the House. “I welcome the news that the House of Commons has quite rightly chosen to respect our centuries-old constitutional relationship with the Crown. The Labour Party has withdrawn its attempt to impose domestic policy on the Islands when presented with a better understanding of the constitutional position. We have worked in tandem with Jersey and the Isle of Man given our common constitutional histories. I would like to thank the strong support afforded to us by the UK Government, in particular the Ministry of Justice and the support from our friends in the All Party Parliamentary Group. This demonstrates the value of regular and active engagement across Westminster and Whitehall. “Had this amendment been passed it would not have had any domestic effect in Guernsey and would have created a constitutional breach for the UK. The fact that the House of Commons has chosen to differentiate between the Crown Dependencies and the Overseas Territories, carrying the amendment from Dame Margaret Hodge in respect of those territories, highlights these important constitutional differences. These differences give Guernsey greater constitutional resilience from any attempts to undermine our autonomy but we will review what further steps need to be taken to ensure that Parliament does not inadvertently create a constitutional dilemma in the future. “In the meantime, we always take any attempts to undermine our relationship with the UK with the utmost seriousness and will defend the ancient rights of islanders. We will also continue to engage with parliamentarians to ensure this relationship is well understood. “Also today, the UK Parliament, in a Written Ministerial Statement, correctly recognised the effectiveness of the beneficial ownership register that we established in 2017 and the arrangements to share this information with UK law enforcement authorities. 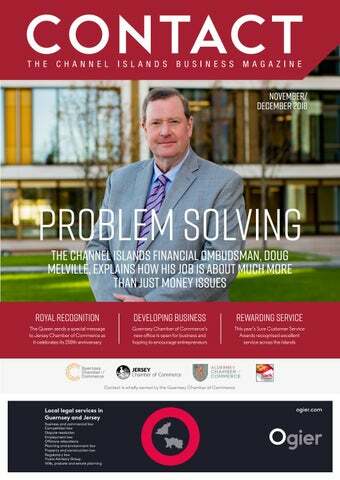 “Guernsey is committed to meeting international standards, in particular in relation to fighting financial crime. As we have previously stated we would introduce a public register if that becomes the agreed global standard. This must be a level playing field for all. The States of Guernsey had worked closely, alongside Jersey and the Isle of Man, to ensure that the UK Parliament was aware of the constitutional position of the Crown Dependencies in respect of the Sanctions and Anti-Money Laundering Bill. The Bill had seen a number of amendments on its passage through Parliament, in both houses, in relation the Overseas Territories and Crown Dependencies, seeking to legislate without consent to implement public registers of beneficial ownership. All of these attempts have been defeated. Yesterday two amendments were considered, one on the Overseas Territories which was laid by Dame Margaret Hodge, which had wide cross-party support. This was seeking to implement public registers in those jurisdictions by 2020, and was passed. A similar amendment was proposed by the Labour Party in respect of the Crown Dependencies. While this did not have the same cross-party support as the Overseas Territories amendment, it was the focus of the States of Guernsey’s engagement with the UK Government and parliamentarians in London over the past few days. This amendment was ultimately not laid. Guernsey already has its own robust systems to tackle tax evasion, money laundering and other financial crime, which meet the highest international standards – including a leading position on the retention and sharing of beneficial ownership information. The adoption of a public register was a policy choice for the UK, not an international obligation. Guernsey chose to build on its own existing good practice by establishing a central register of beneficial ownership of legal persons in the summer of 2017. The information held on Guernsey’s register is up to date and accurate. Guernsey agreed and signed an exchange of notes with the UK Government on sharing information about beneficial ownerships with law enforcement agencies.